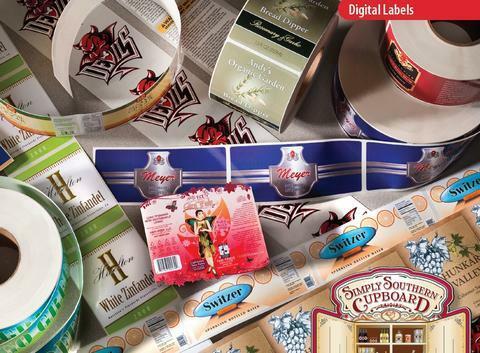 Digital Labels | Printing Technologies, Inc.
PTI’s 4-color process plus opaque white ink digital presses are great for short to medium label runs. They eliminate costly plates and our lasers provide a tool-free method for cutting any desired shape. Create multiple versions of a label for marketing research, or decrease inventory with smaller quantities at economical prices! PTI’s long-run digital press combines high speeds with rapid job change digital technology. This 13” 4-color process plus opaque white ink UV press has Kyocera print heads with HD resolution, which means greater detail in images as well as small point size text. We added two flexographic print stations and a cold foil unit to make your labels sparkle! It also utilizes Advanced Vision Technology Inspection System for accurate color and print repeatability. Our 7-color Indigo press provides the widest color gamut and best print quality available, and it features color variable printing. SmartStream Mosaic software provides the ability to apply a unique design to each label. We also offer ribbon and label kits which perfectly match the ribbon to the label size and roll length to minimize downtime and waste. Contact us to discuss your needs. With PTI, you’ll receive the latest in label technology!